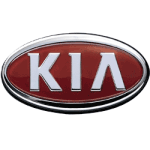 Kia has really grown as a respected brand by drivers in UK. This South Korean car manufacturer created brand loyalty by providing longer warranty periods than their established rivals. Their diverse range allows Little Green Car Leasing to offer you car lease and crossover lease deals on Picanto, Rio, Soul, ceed'd, the Electric Niro lease, Optima, Optima Hybrid lease, Carens, Sportage and Sorento 4x4 lease.